There’s something about a small town that I just love. You don’t feel overwhelmed, the streets are smaller, and the people tend to be friendlier. Often times you can get around on foot or by riding a bicycle – no need to decipher a complicated public transportation system. 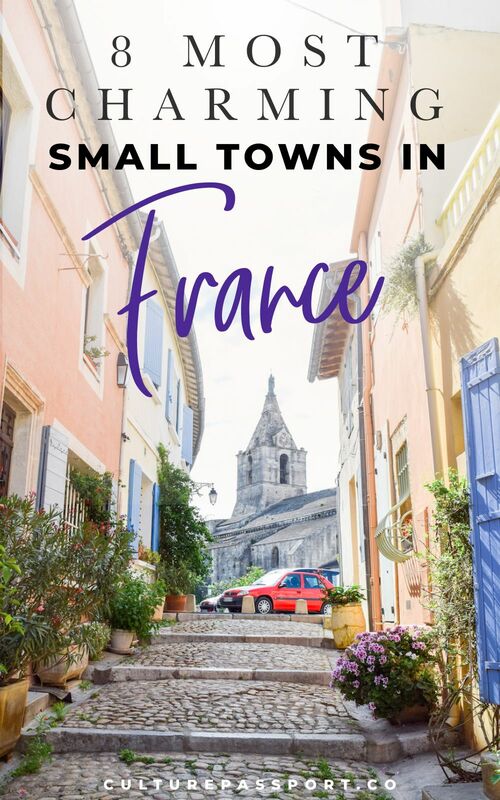 I’ve already written about the small towns in Europe I’ll never forget, but this time I’d like to share my favorite small towns in France that you should consider visiting! 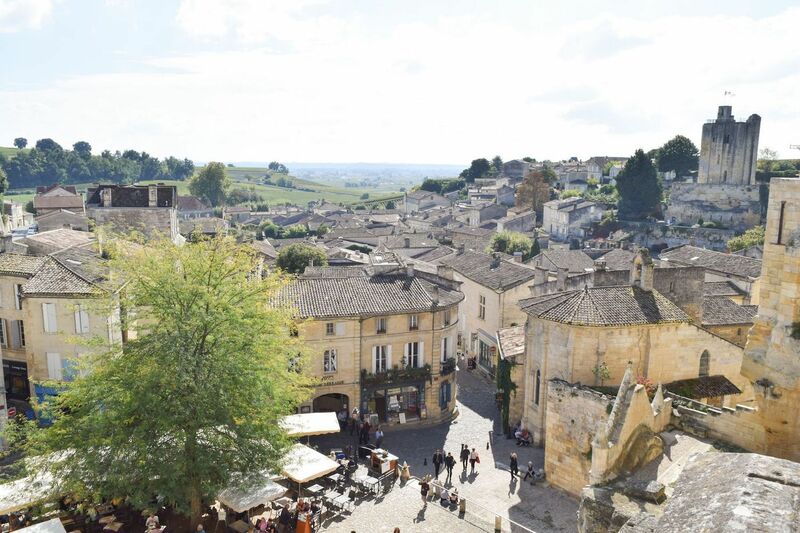 Saint-Émilion was on my bucket list for quite some time and this past October, I finally had the chance to visit! 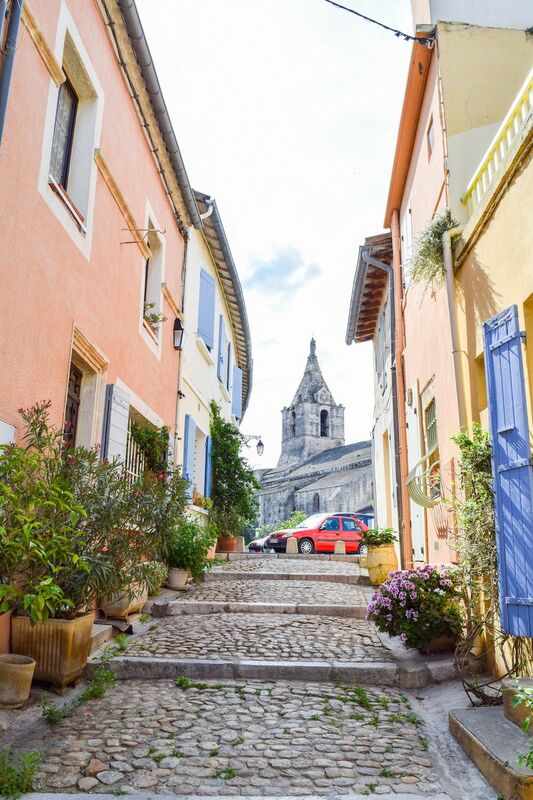 Located just a short train ride away from Bordeaux, this wine-producing town is as charming as they come. The centre ville has few cars, and is paved with beautiful beige cobblestones. The restaurants and wine shop owners are friendly and knowledgeable, and many of them will ship wine to your home for you! My favorite part of my day trip here was seeing a postcard perfect view of the town from Place du Clocher, near the Monolithic Church. Arles was the most picturesque countryside town I visited in the south of France. It’s colorful pastel colored buildings were a delight to see as I walked through the narrow streets of this small town in France. It was also beautifully decorated with flowers in many of the window boxes and trompe l’oeil wall murals. Vincent Van Gogh spent some time in Arles and famously cut his ear here. A foundation is open to the public where you can see some of his work while living in the region. Menton was the most picturesque seaside town I visited in France. 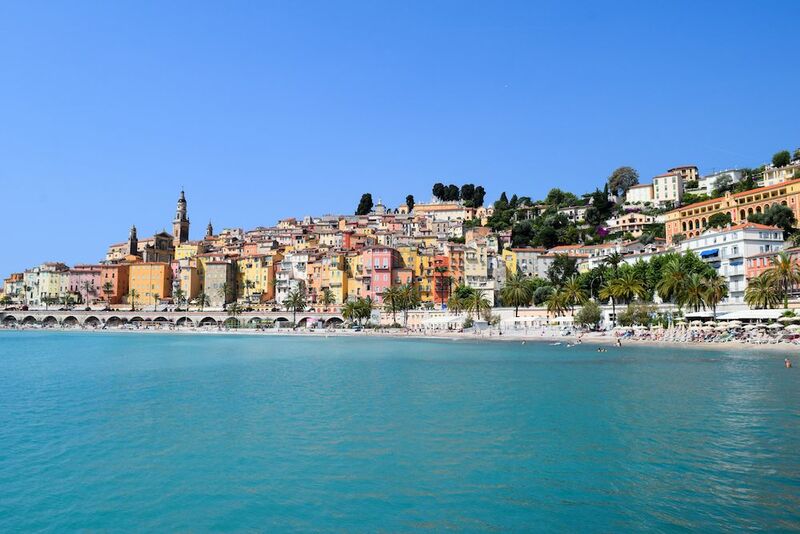 With candy-colored buildings facing a beautiful bay on the Mediterranean Sea, Menton is a destination unlike any other in France. Walk through the narrow streets until you reach the cemetery on top of this hillside town and you’ll see some of the most stunning sea views of your life! 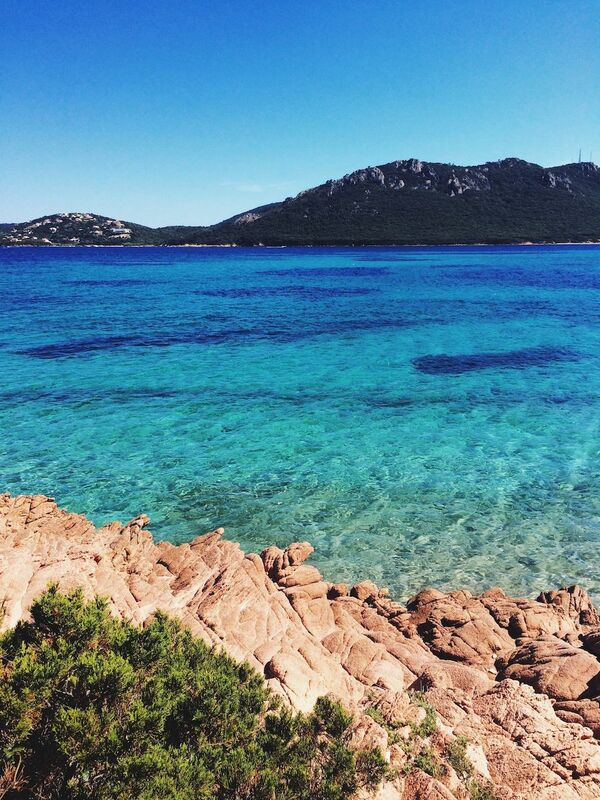 It’s almost as if time stands still on the secluded small town of Porto-Vecchio, on the island of Corsica. It’s far enough from the well-trodden tourists paths that you can truly enjoy the natural beauty of the island. Perros Guirec is a popular destination for Parisians to take a summer home in Bretagne. It’s not so far from Paris that it requires a flight, and it’s easy to reach for a weekend out of the city. As I teenager, I lived in a neighboring town and always enjoyed my trips to this town to see the sprawling beach and watch the sailboats pass. 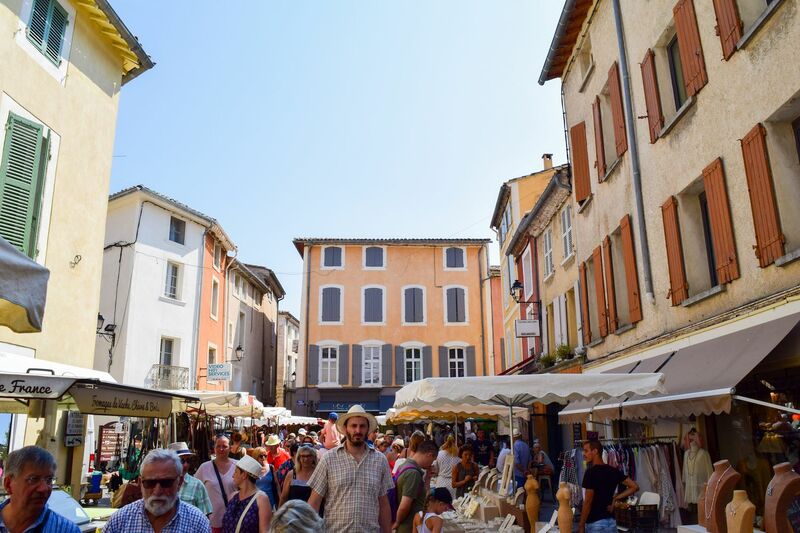 Antique lovers will enjoy the famous southern French town of L’Isle-sur-la-Sorgue – where the Sunday market draws thousands from around the world in the summer to its small streets. My tips for visiting are: arrive early (7–9am) and withdraw cash before you arrive to town! 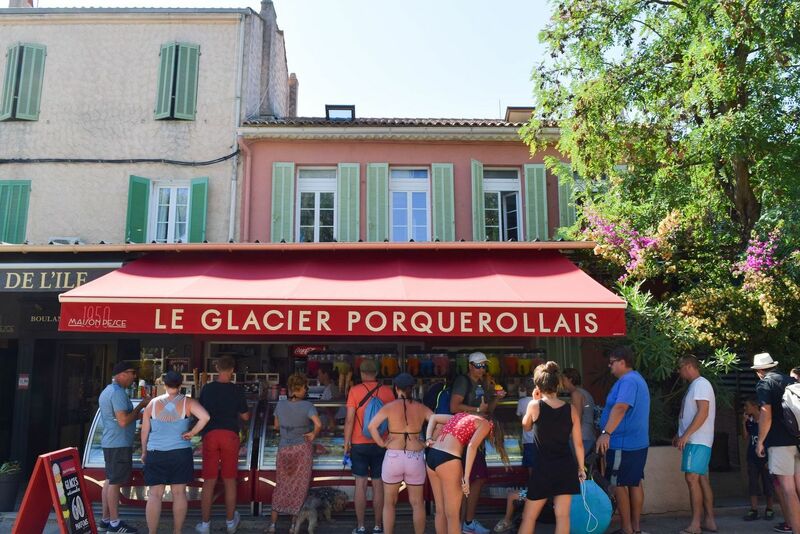 Île de Porquerolles is well known among the French, but less so to foreigners. The island lies off the coast of southeastern France and can thus only be reached by boat. No cars are allowed on the island, but you can easily walk or rent a bike to get around. I visited last summer to catch a glimpse of the newly opened Fondation Carmignac – a private art collection that you can visit with a reservation. Biarritz has a special place in my heart as it’s the first place I went when I first started my long-term solo travel journey. This seaside town is located close to the Spanish border and draws surfers from around the world to its beaches. Biarritz is a favorite among Parisians and celebrities – I once saw Vincent Cassel at Bar de la Plage. 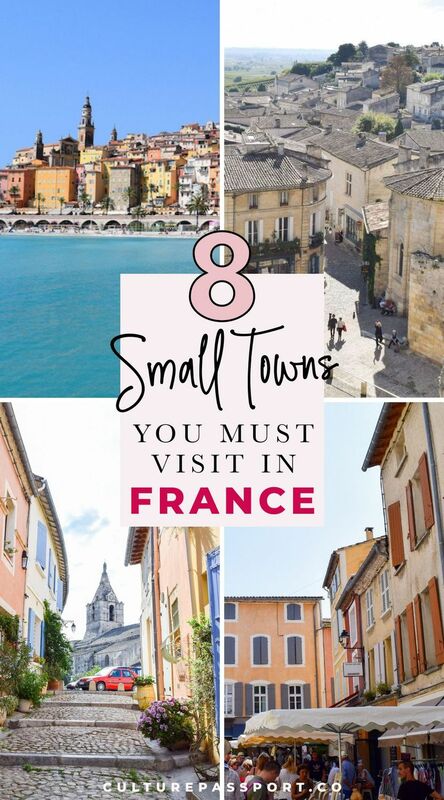 Where are your favorite small towns in France to visit? « When is the Best Time of Year to Visit Paris?